Our custom set is made from very light and durable moulds that can be attached together to create several different patterns to provide a number of options to best fit your preference. 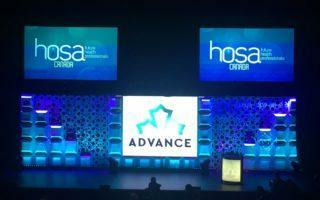 The custom panels can be utilized to build a set to fit the size of your plenary stage with the option for an opening for presenters to walk through or LED Display Screen. 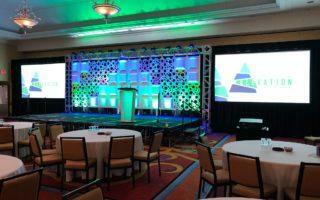 Lighting can be utilized from the back, middle, and front of the stage providing an engaging solution for attendees. 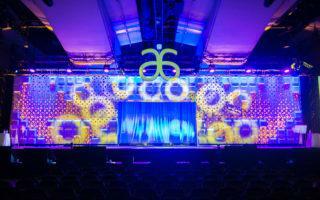 The lighting colours and patterns can be altered throughout the duration of the event depending on the theme, presenter or day of the event. We are a full-service audio-visual company that provides all necessary components for your stage including staging, audio, video, lighting and labour. 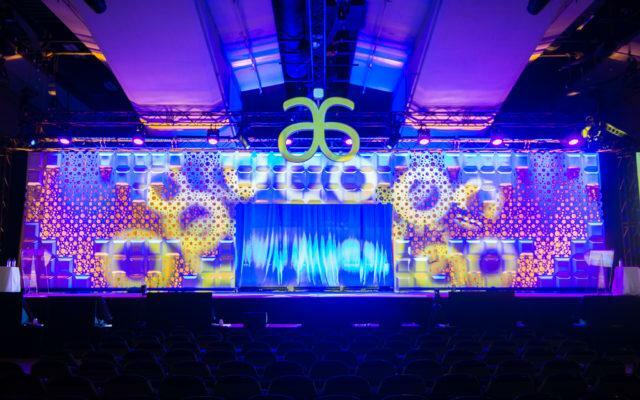 Want to see how your backdrop will look prior to the setup date? We provide our client’s with AutoCAD drawings and floorplans to display exact measurements and lighting points for your custom set ensuring everything meets your requirements. If you have any questions about our custom set our sales team would be happy to assist you. Feel free to fill out a contact form or reach out via our direct website chat. Let us know about the details of your event, including the location, venue, audience size, start and end times, and any other information about the equipment required.